The past few months I have gotten the chance to visit the southern states more frequently then I have in the past. I love the warm weather and the beautiful beaches that go along with it. My parents grew up in the south so the food and life style haven’t been completely lost to me over the years, but I can honestly say that not having the abundance of sweet tea in my diet has been a big mistake! It’s fascinating to me that you can go to multiple restaurants in a day and have sweet tea’s that taste completely different. I could drink it all day long and never get bored. Sweet tea has a way of being adaptable. It can change and mold to be accepted by a variety of people. You can add a lemon, a lime, a peach flavor, or whatever you want to have your needs met. Sweet tea is there when you need it, ready to comfort you or to brighten a rough day. It’s a simple little refresher to give you hope and keep you going when you’re exhausted from a long disappointing week. Sweet tea isn’t the only sweet thing that is in abundance, and from my experience the people match the beverage very well. Everyone has heard of the “Southern Hospitality” stereotype, and that’s because for the most part it’s true. I have never heard more “pet names” be used when encountering a stranger then when I have spent some time in the south. At first there is the tendency to be alarmed, annoyed, or maybe even insulted. Then you have to look into the sentiment behind it all. Those terms like honey, dear, sugar, and baby are all terms of endearment. They aren’t meant to be demeaning, their meant to compliment and make someone feel at home. Well, that’s how I look at it anyway. Now the south isn’t an exception to the general rule of having people that have bad days, are unkind to strangers, or just rude. Every place has the type of people that can just ruin your day. However the hospitality and caring nature of the next person you see that says “have a great day sugar” feels to be more frequent. I’m not suggesting that we all go walking around and use the exact language that makes the south and its residence so charismatic, that is there thing. But what if we all chose to be a little more hospitable to the people around us? Instead of being rude immediately, not smiling, not waving, ect… How about we put a smile on our face, give someone a little wave, tell them to have a nice day, and make them feel more at home. If we make an effort to add a little more sweetness into our day then that little act could make a difference in a big way. Everyone should have a chance during the day to feel accepted.So, the next time you see a friend down and out pull up chair and pour them a big glass of comfort and hospitality. Now, I don’t know about the rest of you.. But I think I’m going to have a little more sweet tea. 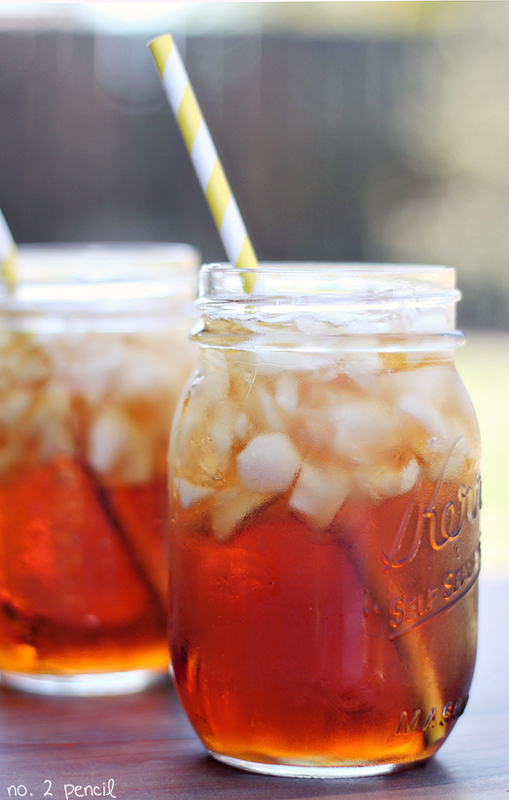 I agree you can never have too much Sweet Tea!